The newest release from the consummately funky fusion outfit Snarky Puppy is as diverse as anything the group has ever released. Family Dinner Volume Two carries on two of the group’s signature customs: the live in studio hybrid concert/recording session and building their repertoire around the contributions of guest artists. Both installments in the Family Dinner series benefit non-profit arts organizations, with proceeds from this volume going to the New Orleans based music education group The Roots of Music Foundation. The vibrant musical life of New Orleans is shot through this record, while rarely taking any of the city’s signature sounds as a point of departure: Snarky Puppy’s rotating cast of regulars is joined by “Nola International,” a gang of Crescent City heavy-hitters, including Terence Blanchard and Jason Marsalis, household names for jazz fans. What puts the “Family” in Family Dinner is the presence and pairing of guest artists that one may not readily think of jiving with Puppy’s signature jazz-fusion sound. In order to get this motley crew to make the album’s great music, all of the musicians involved in this project hung out together for 6 days at a church-turned-recording studio, collaborating on their ideas for the work, becoming a kind of family throughout the recording process. This album features many seemingly unusual pairings, from “I Asked,” which combines Appalachian singer songwriter Becca Stevens and Swedish folk(ish) group Väsen, on a song that gradually morphs from pretty ballad to trance-inducing vamp. “Molino Molero,” my favorite number on the disc, combines Afro-Peruvian legend (and world music superstar) Susana Baca with the ever-innovative, immaculately tasteful jazz-fusion guitarist Charlie Hunter. 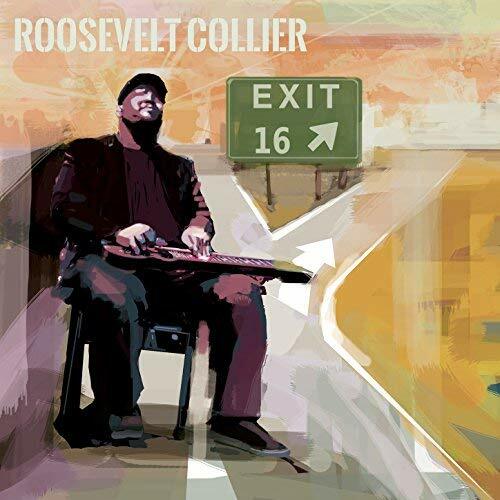 Similarly, on “Don’t You Know” keyboardist and vocalist Jacob Collier explores the possibilities of what can be done with a vocoder and acoustic piano while Big Ed Lee of the New Orleans-based Soul Rebels Brass Band lays down a funky fresh bassline. What Snarky Puppy does best on this release is acting as the world’s most precise backing band–the group creates delicate ambiance when necessary and rock-solid grooves when required, constantly digging deep into the songs that the featured artists bring to the table. This is no more apparent than in the lush orchestration that the collective of instrumentalists provide on David Crosby’s “Somebody Home,” with gorgeous brass, synthesizer, and organ textures animating the understated song about finding depth in relationships. 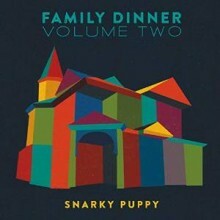 In the combined video and audio packaging of Family Dinner Volume Two, the included DVD is really the star of the show. While DVDs packaged with CDs or LP are usually vehicles to convey bonus features, in this case, the audio-only formats are more supplements to the DVD, which features video versions of each of the songs. 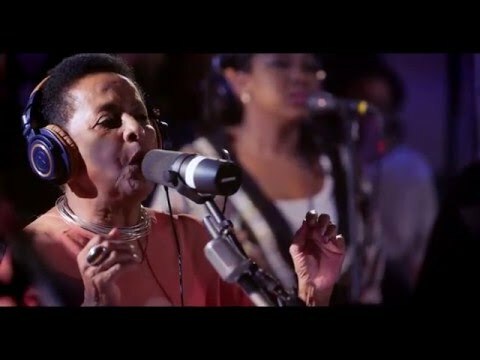 These videos show Snarky Puppy’s trademark hybrid studio-live recording process, with audience members all wearing headphones and mics and cables galore, capturing every nuance of the band’s playing for posterity. The DVD also narrates the sessions’ creation, with individual artists talking about the recording process and their views on music as well as playing tunes not included in the official recording session. If we take the DVD at its word, Snarky Puppy’s Family Dinner Volume 2 must have been a joy to participate in–the collective’s collaborative sense shines through every cut that is included. With all of this in mind, it is perhaps more useful to think of the CD as the ‘bonus’ in this package, a slimmed-down more portable version of the sessions that you can pop in the car stereo.